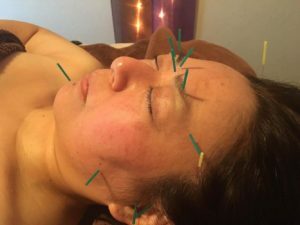 I got acupuncture on my face. You may think it’s painful seeing the picture needles on my face, but it is NOT at all. It was painless treatment and I was so relaxed during the whole treatment. Here at MAU Holistic Center, you can get various kinds of treatment not only face, but also body. You can also enjoy this kind of body care treatment not only sightseeing in Japan.